Manage your desktops and servers from anywhere, any time, and perform activities like installing agent on a new computer, to retiring computers from the network. Desktop Management is no more a job which holds you to be back on your seat. You can now start managing your desktops and servers from anywhere, any time, and performing activities like installing agent on a new computer, to retiring computers from the network. 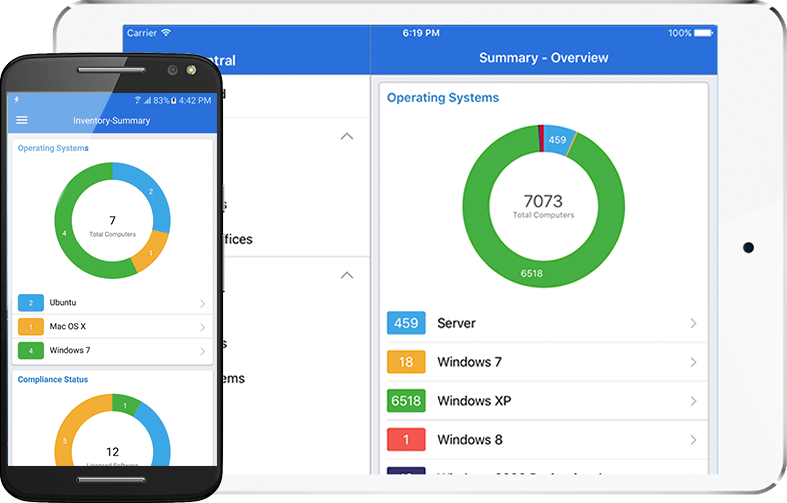 Desktop Central's mobile app, can be used to manage Windows, Mac and Linux computers. A touch on your smart phone, will invoke installing or removing the Desktop Central agent from Windows, Mac and Linux computers. Installing agents is the first step in managing computers. You can choose to scan one or more computers, using your smart phone. Scanning the computers will fetch all the hardware and software details of the computer. Fetching details of the software that are installed on the computers is all that easy using this app. Fetch computer details based on the manufacturer, device type, age etc. You can get accurate and detailed report on the hardware inventory. Prohibit software, which should not used in the enterprise. Scan computers and identify computers with prohibited software and uninstall it automatically. You can add the computers and remove them from Scope of Management (SoM). Removing a computer from SoM, refers to disabling the computer from management. Automate patching Windows, Mac, Linux and 3rd party applications. Initiate remote sessions, troubleshoot computers from anywhere, any time. This ability is limited to iOS devices. You can download the Desktop Central mobile app from the App/Play Store. 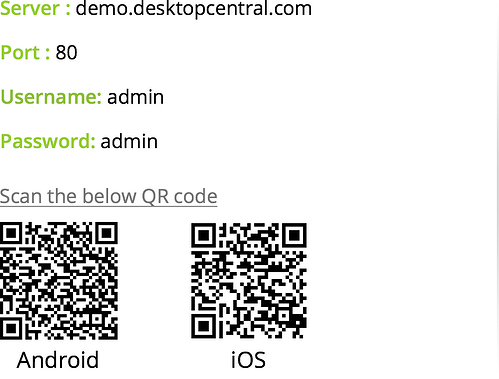 Desktop Central's mobile app is currently available for iOS and android devices. Access to the contents in the mobile app, is determined by the role and permissions for every user. For example, if a user has read only role in Desktop Central, his access using the app will remain the same.